If you are looking for a web site host, you may be lost in the sea of conflicting information and options out there. It can be hard to know what to do and with whom to go when you are not even sure what you need for your new website. Before you purchase hosting from anyone, make sure you understand exactly what you need and what each item means before pulling the buy trigger. Many webmasters like to go with hosting companies that offer unlimited disc space, unlimited bandwidth and unlimited emails but that can be tricky. Why? Well, you see, each site has their own idea of what unlimited may actually mean. Lets pass over to Andrew from Pisys.Net – a certified IT consultant from Aberdeen, Scotland. He’ll explain more. When you see someone offering unlimited bandwidth, this should mean that you can have as much traffic as you can get and you will never have to pay more for it. (Bandwidth is what is used when someone comes to your site). The host stores your site on their computers, which takes up disc space and, when the site is running, memory. When someone clicks on your site, they essentially download bits of that site from that computer (known as a server). This information flow is referred to as bandwidth. So, it follows that if you have a lot of traffic, you are using a lot of bandwidth. You are naturally going to want to find a host offering unlimited bandwidth for your web sites because, as you might imagine, this means you will never be hit with a bill for bandwidth exceeding what you have already paid for. The problem is that although some sites claim that they offer are hosting unlimited bandwidth web sites, that is not always the case. They have a limit. They say unlimited because most people will never go over that limit, but if your site is successful, you just might. That is why you have to find out what uses the most bandwidth, and then find out which hosts are truly unlimited. If you have a site that is mostly text and a few pictures, you may never have to worry about using a ton of bandwidth. However, those that have a lot of large pictures and videos can have problems with bandwidth. 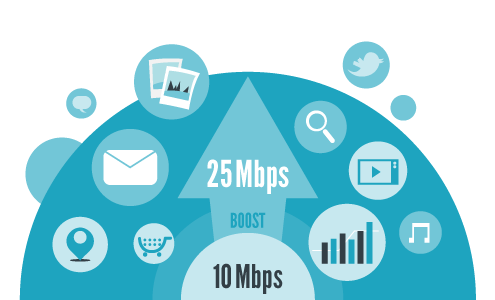 If you have interactive games or forums, those too can use up bandwidth rather quickly. No matter what you have, you are better off finding out who offers what and how much you are going to have to pay before you sign up with anyone for anything. When you have decided it is time to find someone for hosting unlimited bandwidth for your site, you can look around online to see who offers this. You may have to take it one step further though, and call each host. They all have a customer service numbers. Use it. Call and tell them that you see that they offer unlimited bandwidth but you know that there are some restrictions with some web sites. They can then go over their policies with you. This way you know exactly what you are getting when you finally make your choice for your web hosting service. Does Cloud Computing for Small Businesses Make Sense?